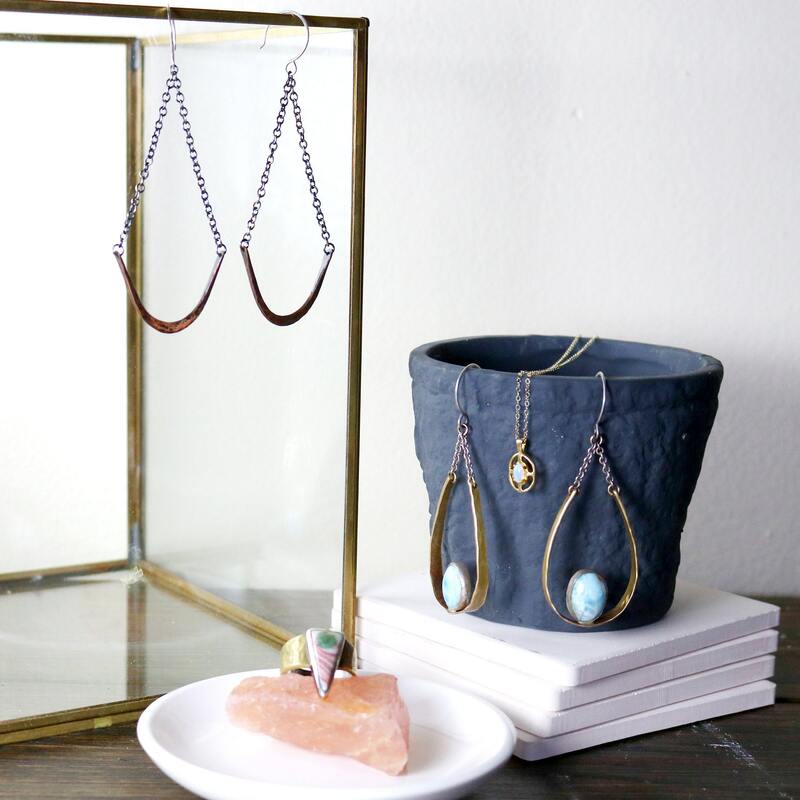 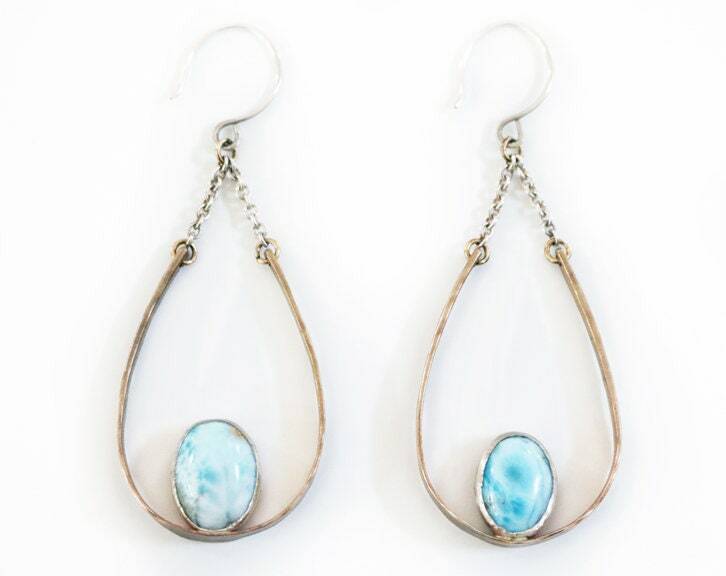 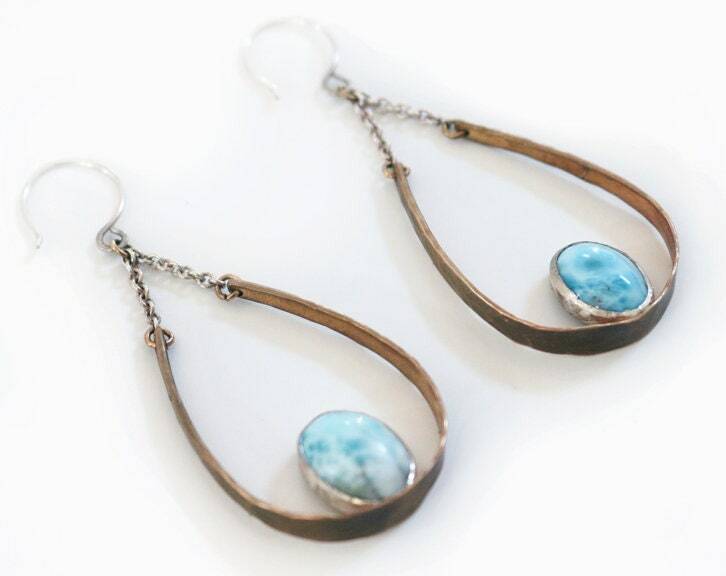 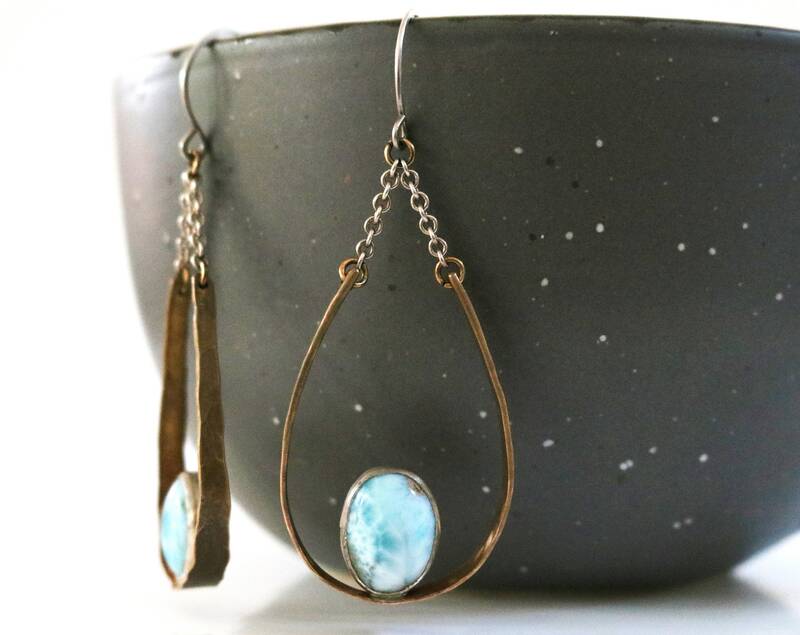 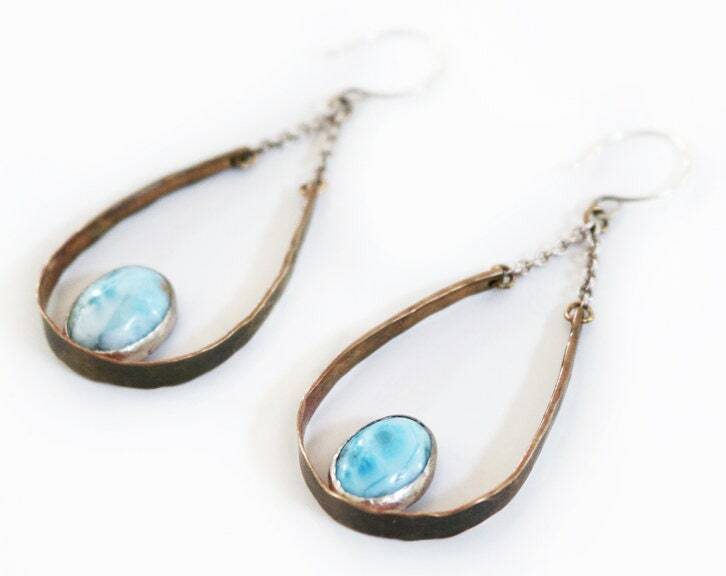 These one of a kind forged brass and silver chandelier earrings feature two stunning larimar cabochons. 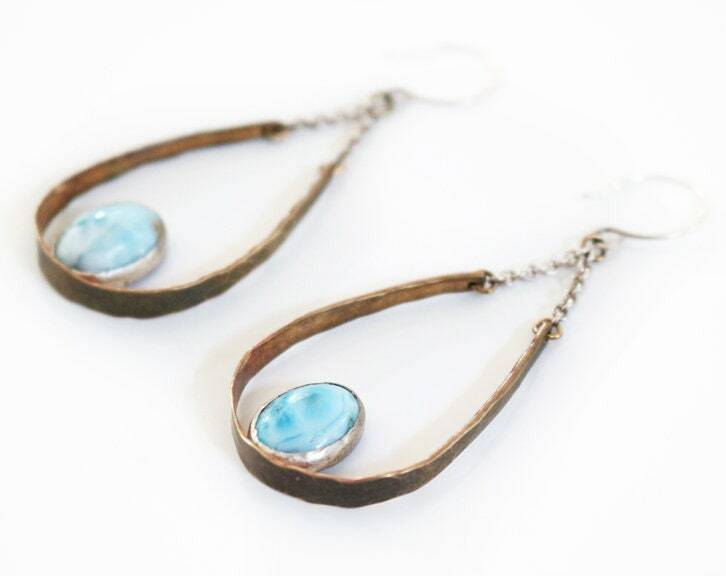 The two stones are not quite the same size, but are roughly 10x12 mm. 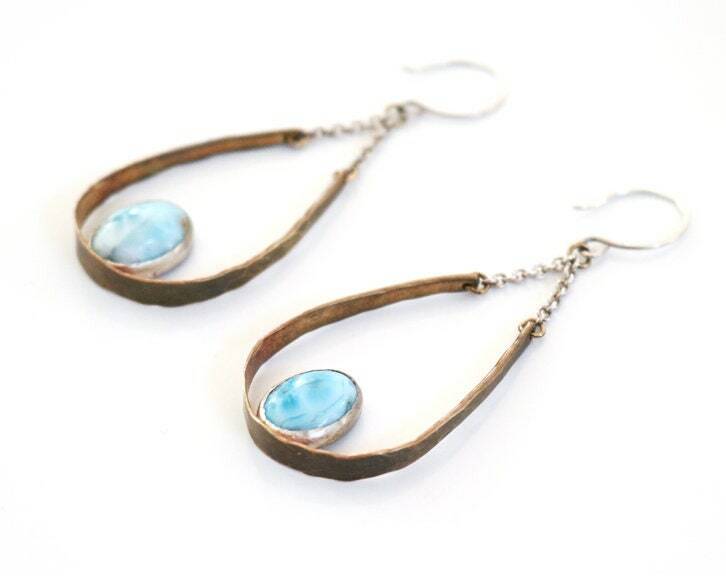 Large, light, and understated these earrings can easily be dressed up or down.